Today CHP is a social-democratic party, member of the Progressive Alliance, Socialist International and Party of European Socialists and Democrats (PES). The scope of the CHP Representation in Brussels is not limited to the bilateral framework of Turkey’s EU accession process. Issues such as the information society, energy policies, social development, climate change, international trade and security are among the different focus areas. The EU-Turkey relations are about integration and need multiple, plural and horizontal channels of communication. 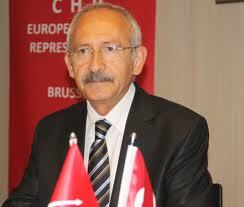 T he CHP supports and promotes Turkey’s EU membership process also by being more present and active in Brussels.